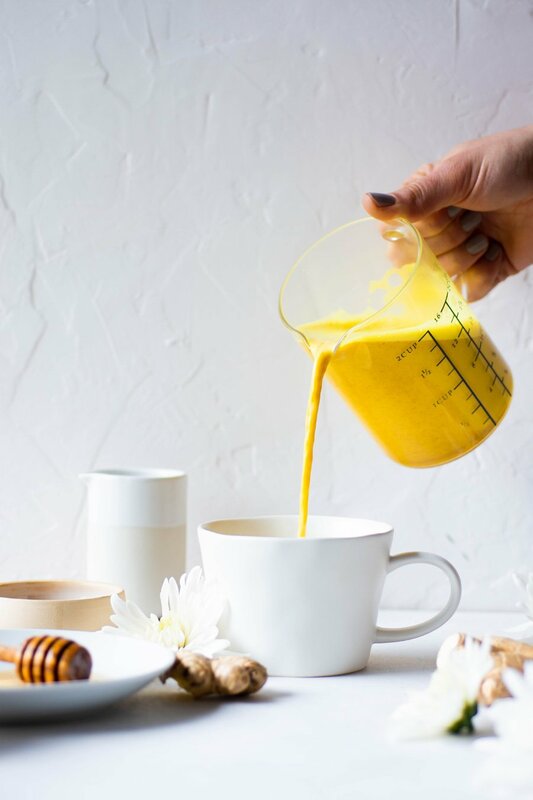 Golden milk is a creamy, warm and nourishing caffeine free beverage that is slightly sweet, and layered with warming spices like cinnamon, ginger, and turmeric. 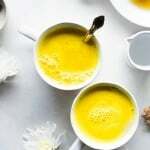 A modern take on a traditional ayurvedic tonic that has been used for centuries to help aid in sleep, digestion, boost immunity, and lower inflammation levels. 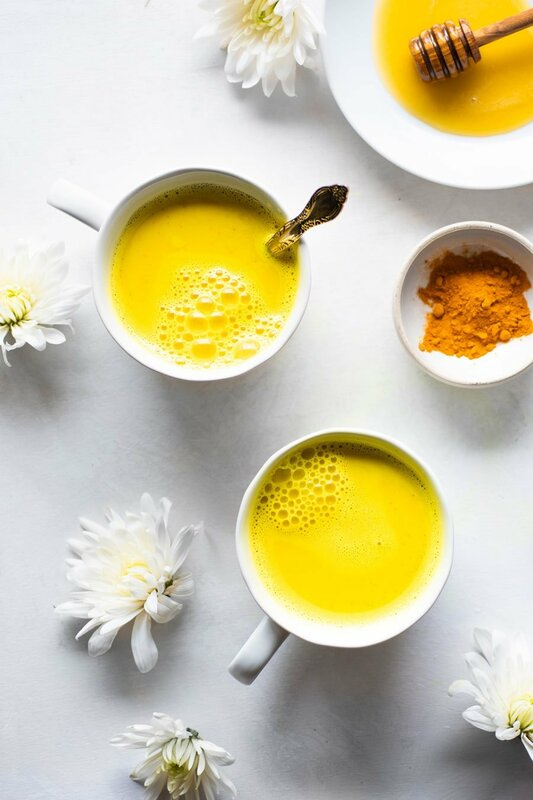 The main health boosting ingredient in golden milk is turmeric. In ayurvedic tradition turmeric has long been appreciated for it’s countless healing and nurturing properties. 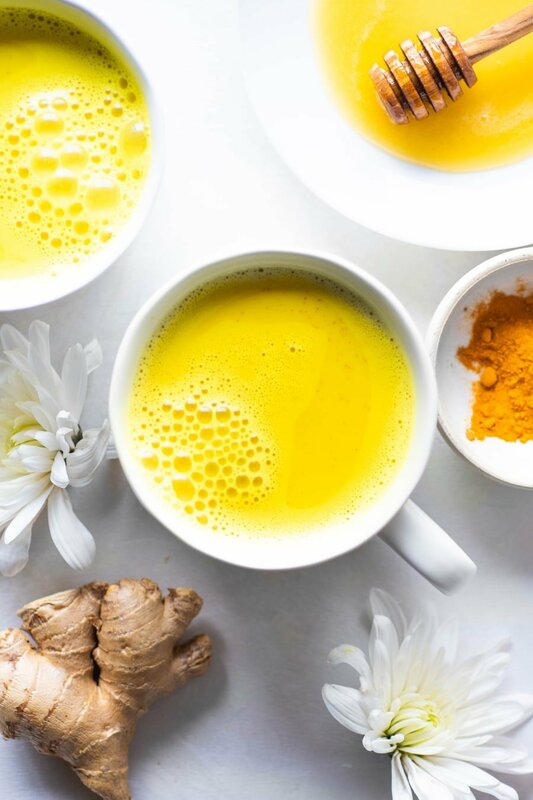 The most studied and prized agent in turmeric is called curcumin, a polyphenol that has been shown to have many beneficial health properties for everything from acting as a systemic anti-inflammatory, to a liver, digestive, and immune tonic. Turmeric also has powerful anti-septic properties, which means that it helps stop or slow down the growth of harmful disease causing organisms – pretty rad, right? In the fast paced world that we live in, inflammation is becoming a bigger issue for many of us. It can be triggered by stress, infection, toxic chemicals and eating foods that just aren’t suited to our body type. That kind of makes it sound like the perfect remedy to our modern lives, doesn’t it? It’s definitely been making a big comeback these days, and I don’t think that’s an accident. 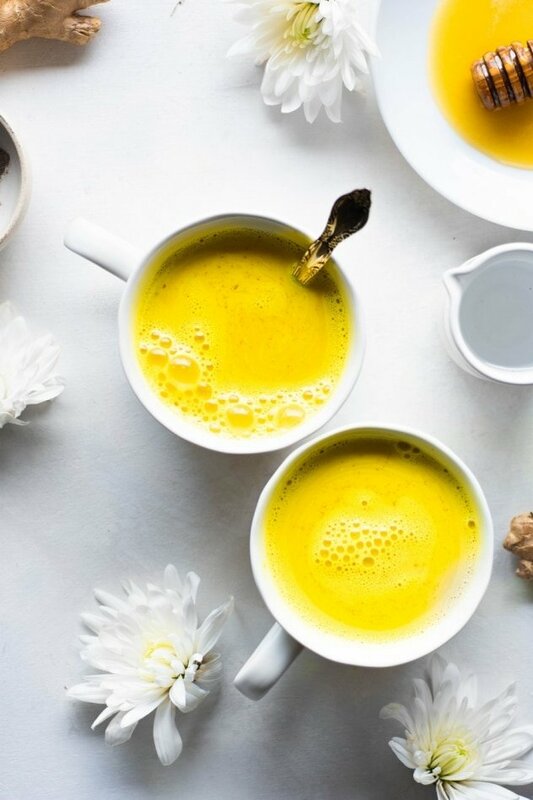 Does golden milk help you sleep better? 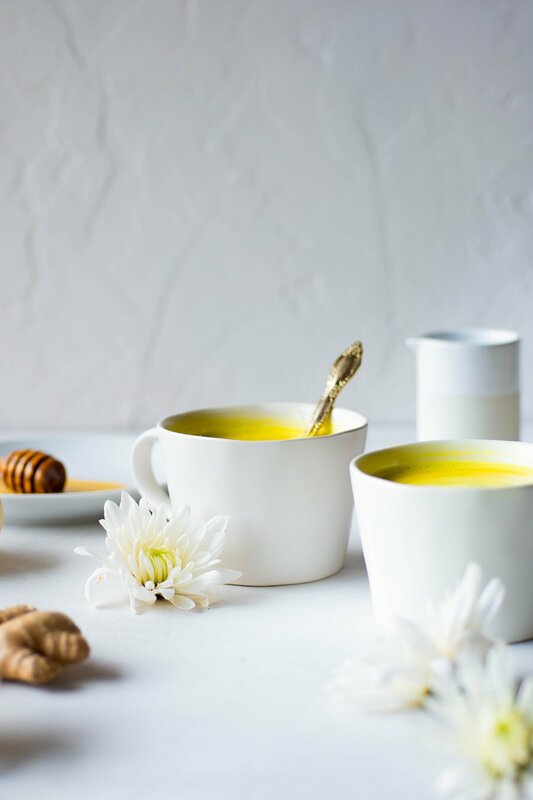 In addition to the comforting effect of a ritual of drinking something warm before bed, golden milk can help you sleep better thanks to the nourishing ingredients that are used in combination to lull you into sweet, sweet dreamland. 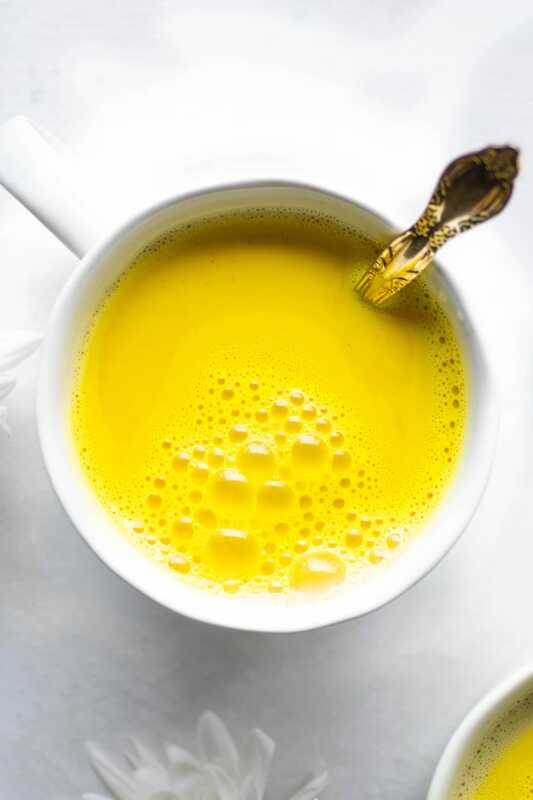 Turmeric – The base spice for all golden milk’s, turmeric offers healthy anti-inflammatory and immune support for the whole body. Black pepper – There’s a key chemical in black pepper called piperline, that can enhance the bio-availability of turmeric by 2000%! Making it a pretty important pairing for the bright orange spice. Ginger – Also long prized for it’s anti-inflammatory and digestive soothing properties, this warming spice adds another layer of support for the body. Cardamom – Another digestive aid! Crazy how much managing our digestive systems has to do with relaxing and sleeping well. Second brain, anyone? Cinnamon – This common well loved spice actually has a pretty awesome way of balancing your blood sugar, which in turn helps regulate your hormones, which can help you sleep more soundly! Vanilla – This scent is well known for promoting relaxation. It can also stabilize your heart rate and lower blood pressure. 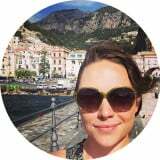 Coconut oil – There are tons of benefits of coconut oil, but the one I want to point out here is that it’s almost entirely made up of oleic acid. This is a precursor to oleamide, which is a naturally occurring sleep inducing chemical. Almond butter – More healthy fat! And some fiber from the almond butter that will keep your tummy satisfied so you can sleep more deeply. It’s actually really easy to make! The first step is to heat all of the spices in the coconut oil until they’re very fragrant. 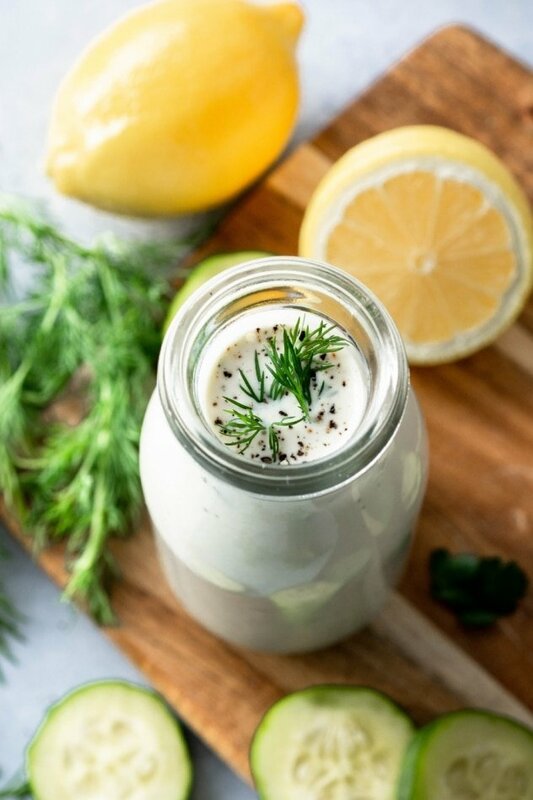 Add that mixture to your blender with the healthy fats, vanilla, sea salt, and hot water. Then simply blend until creamy, cozy, and nourishing nirvana is reached! 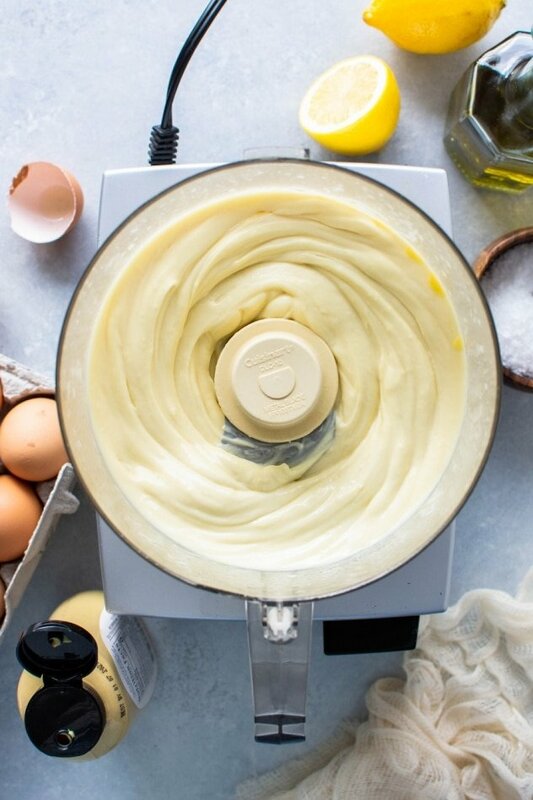 If you don’t have a blender you can make this recipe using a battery operated whisk. I use and love this one from Amazon. It’s inexpensive, powerful, and so easy to take with you traveling or are on-the-go. Just be careful not to fill your mug more than halfway full before whisking! If too full it will spill over the edge of your cup – and turmeric can easily stain various surfaces and materials. Add just enough of the coconut oil with the spices and almond butter for one serving (half of this recipe) to a mug. Fill your mug a little less than halfway with hot water. Whisk until it is creamy and smooth, and then top up your cup with more hot water and stir with a spoon to combine. If you don’t have a blender or a battery operated whisk another option is to use nut milk in place of hot water and almond butter. Simply heat the spices with coconut oil and then pour 16 oz of dairy free milk into the pan. Whisk together with a hand whisk, bring to a simmer, and once hot serve! If you like to plan ahead you can make a larger batch of the recipe, store it in the refrigerator. You can then heat it up and re-froth it in the blender when you’re ready to drink it. 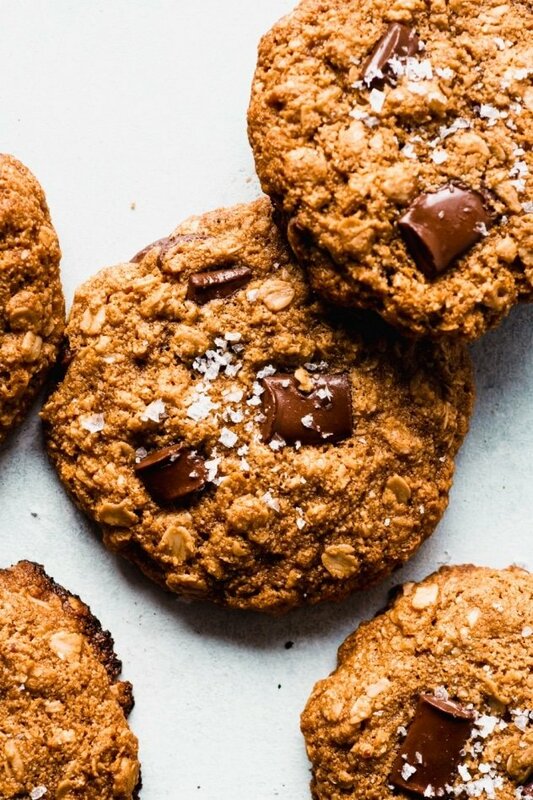 To make this recipe keto / whole30 friendly simply leave out the sweetener. 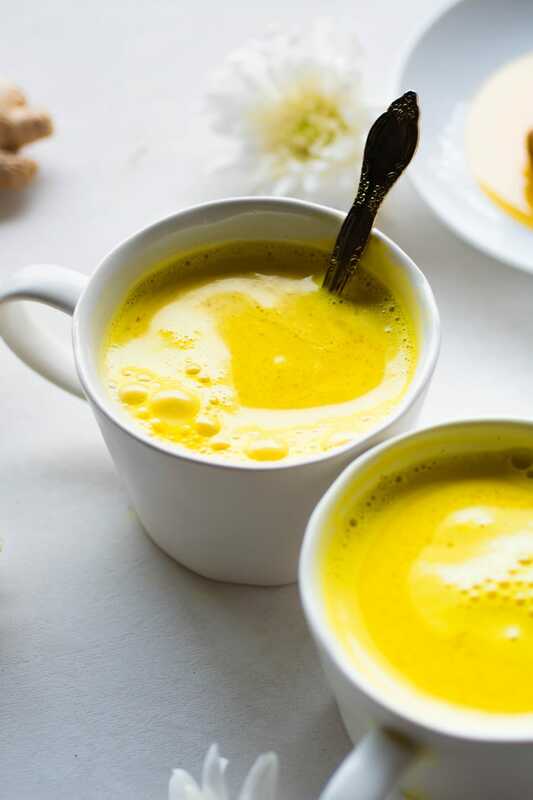 Try this golden milk powder if you don’t have the time to make this recipe from scratch but still want to enjoy the benefits of golden milk! If you have fresh turmeric you can use that instead of dried – I would peel and grate a piece about 2 inches long for one batch of this recipe. I left out the almond butter and replaced the boiling water with 16oz of freshly steeped ginger tea. So delish! This is going to be a regular part of my bedtime routine. This is REALLY good! Will make this quite often! Thanks for sharing…..